This is the worst call in NFL history causing the Los Angeles Rams to excel and the New Orleans Saints to miss their chance at Super Bowl rings. CelebNSports247.com reports that the New Orleans Saints ended up losing the NFC Championship Game on Jan. 20 thanks to a blown call by refs during the final minutes of the game. 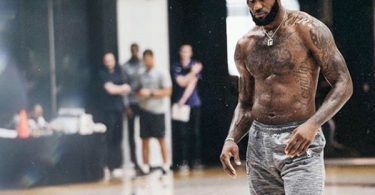 USA Today’s Tom Schad reported the revelation came as the league is facing a lawsuit in New Orleans in the aftermath of the game. Because the officials on the field are humans, like the players and coaches, errors will happen. 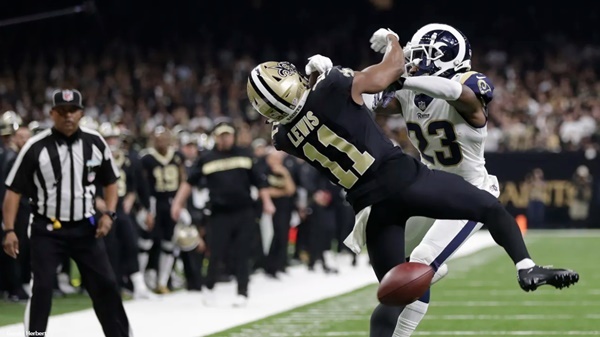 The NFL parties do not dispute that they have previously advised the Saints, including the club’s head coach, that one or more penalties — for pass interference or illegal helmet-to-helmet contact — were mistakenly not called late in the NFC Championship Game, and that the NFL would like its officials on the field to make these calls. This was acknowledged immediately after the game to the coach of the New Orleans Saints by NFL Senior Vice President of Officiating Al Riveron. What is worse is that lawyers argued that the NFL Commissioner Roger Goodell would be unable to order a replay of the NFC title game. If you saw the hit you would see that Robey-Coleman led with his helmet and hit Saints receiver Tommylee Lewis well before a Drew Brees pass arrived with 1:45 remaining in the game. Everyone expected a flag, but none was called. Ah, hell yeah, that was PI. I did my part. The referee made the call. We respect it. While many of NFL fans feel that the refs were paid off not to make the call and let the Rams win to gain a larger fanbase in their new city by having them play in the Super Bowl. Saints coach Sean Payton points out that the league office admitted the missed call during a post-game conversation. We all want to get it right, right? We’ve got the technology where we can. … We’ve got plenty of technology to speed things up, and look, I’m on the competition committee, so hopefully, that provides a voice. But I hope no other team has to lose a game the way we lost that one today, though. We were in a position, like I said, to be right on there on the 10-yard line, whatever-yard line, and be on our knee for three plays. It’s disappointing. We still call foul play… Good Luck Rams!